September 13, 2016 – Engineering faculty from the Colorado School of Mines in Golden, Colorado, are part of a project that has been awarded $1.6 million to improve the design of soft magnetic materials, which would increase the efficiency of electrical systems. The grant is funded by the National Science Foundation’s Designing Materials to Revolutionize and Engineer Our Future program. Soft magnetic materials, such as iron and nickel-iron alloys, are labeled soft due to their low loss and high permeability characteristics. They are essential to all aspects of daily life, especially in the generation, conversion and conditioning of electric power. Even small improvements in energy efficiency from the magnetic components can result in large energy, financial and CO2 emissions savings. 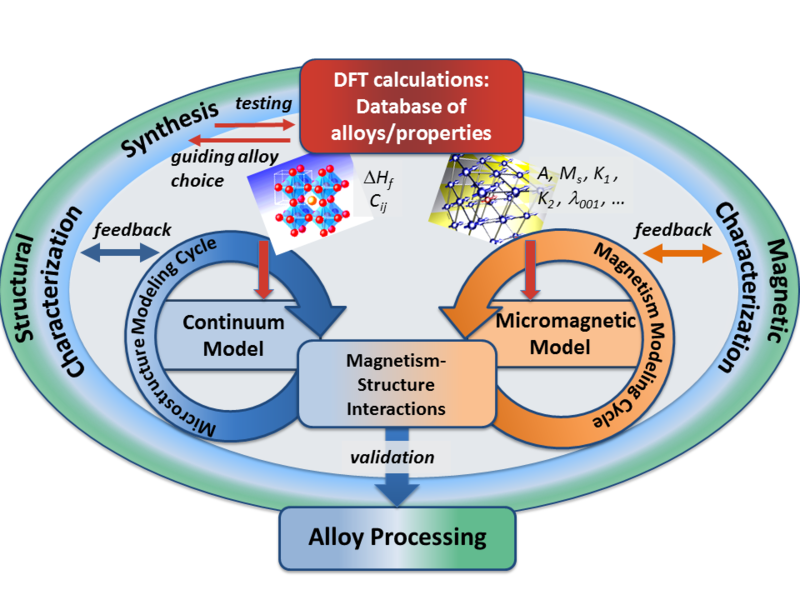 Stebner and Ciobanu plan to advance the alloy design cycle through a multidisciplinary approach involving materials science, applied physics and electrical engineering. 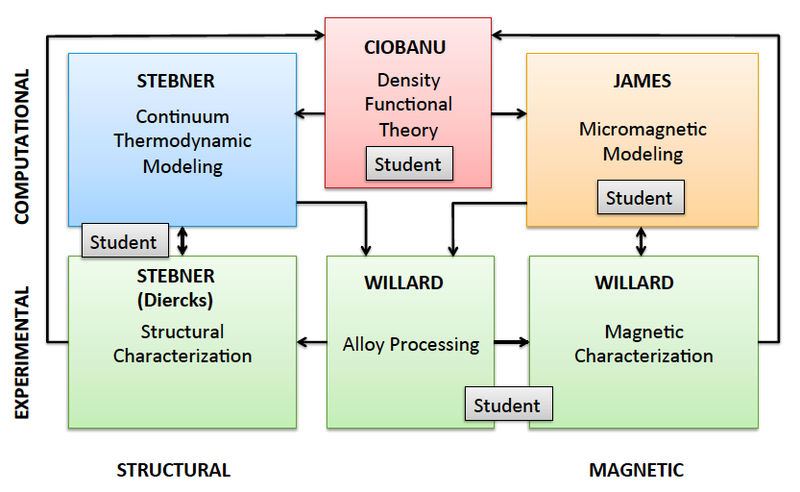 Ciobanu’s research will focus on the density functional theory, while Stebner’s team will investigate fine element modeling in micromagnetics. Figure 2, below, captures the experimental and computational collaboration between Mines faculty, Matthew Willard from Case Western’s Department of Materials Science and Engineering and Richard James from the University of Minnesota’s Department of Aerospace Engineering and Mechanics.